Match ends, Hannover 96 0, SV Werder Bremen 1. Second Half ends, Hannover 96 0, SV Werder Bremen 1. Attempt missed. Hendrik Weydandt (Hannover 96) header from the centre of the box is close, but misses to the left. Assisted by Iver Fossum with a cross following a corner. Attempt blocked. Nicolai Müller (Hannover 96) header from the left side of the six yard box is blocked. Assisted by Michael Esser. Corner, Hannover 96. Conceded by Theodor Gebre Selassie. Joshua Sargent (SV Werder Bremen) wins a free kick in the defensive half. Attempt blocked. Nicolai Müller (Hannover 96) right footed shot from outside the box is blocked. Nicolai Müller (Hannover 96) wins a free kick on the right wing. Corner, Hannover 96. Conceded by Davy Klaassen. Substitution, Hannover 96. Felipe replaces Oliver Sorg. Substitution, SV Werder Bremen. Kevin Möhwald replaces Nuri Sahin. Nuri Sahin (SV Werder Bremen) wins a free kick on the right wing. Attempt saved. Maximilian Eggestein (SV Werder Bremen) right footed shot from the right side of the box is saved in the bottom right corner. Corner, SV Werder Bremen. Conceded by Michael Esser. Attempt saved. Philipp Bargfrede (SV Werder Bremen) header from the centre of the box is saved in the bottom right corner. Assisted by Niklas Moisander with a cross. Corner, SV Werder Bremen. Conceded by Oliver Sorg. Kevin Akpoguma (Hannover 96) is shown the yellow card for a bad foul. Joshua Sargent (SV Werder Bremen) wins a free kick in the attacking half. Foul by Kevin Akpoguma (Hannover 96). Kevin Akpoguma (Hannover 96) wins a free kick in the defensive half. Theodor Gebre Selassie (SV Werder Bremen) wins a free kick on the right wing. Foul by Miiko Albornoz (Hannover 96). Attempt saved. Milot Rashica (SV Werder Bremen) right footed shot from outside the box is saved in the top left corner. Assisted by Max Kruse. Offside, Hannover 96. Miiko Albornoz tries a through ball, but Jonathas is caught offside. Miiko Albornoz (Hannover 96) wins a free kick on the left wing. Substitution, Hannover 96. Iver Fossum replaces Pirmin Schwegler. Foul by Hendrik Weydandt (Hannover 96). Attempt missed. Kevin Wimmer (Hannover 96) left footed shot from outside the box is too high from a direct free kick. Nicolai Müller (Hannover 96) wins a free kick in the attacking half. Attempt saved. Max Kruse (SV Werder Bremen) left footed shot from the right side of the box is saved in the bottom right corner. Assisted by Milot Rashica. Attempt missed. Milot Rashica (SV Werder Bremen) right footed shot from the left side of the box is close, but misses to the left. Assisted by Nuri Sahin. Attempt missed. Ludwig Augustinsson (SV Werder Bremen) right footed shot from outside the box is close, but misses to the left following a set piece situation. Attempt blocked. Milot Rashica (SV Werder Bremen) right footed shot from outside the box is blocked. Nicolai Müller (Hannover 96) is shown the yellow card for a bad foul. Corner, Hannover 96. Conceded by Niklas Moisander. Attempt blocked. Nicolai Müller (Hannover 96) right footed shot from the centre of the box is blocked. Jonathas (Hannover 96) wins a free kick in the attacking half. Substitution, SV Werder Bremen. Philipp Bargfrede replaces Martin Harnik. Substitution, Hannover 96. Jonathas replaces Bobby Wood. Attempt missed. Martin Harnik (SV Werder Bremen) right footed shot from the centre of the box misses to the left. Assisted by Nuri Sahin. Foul by Martin Harnik (SV Werder Bremen). Waldemar Anton (Hannover 96) wins a free kick in the defensive half. Oliver Sorg (Hannover 96) is shown the yellow card for a bad foul. Foul by Oliver Sorg (Hannover 96). Pirmin Schwegler (Hannover 96) wins a free kick in the attacking half. Attempt missed. Martin Harnik (SV Werder Bremen) left footed shot from the left side of the box is high and wide to the right. Assisted by Ludwig Augustinsson. Attempt saved. Milot Rashica (SV Werder Bremen) left footed shot from a difficult angle on the left is saved in the centre of the goal. Assisted by Max Kruse. Attempt missed. Martin Harnik (SV Werder Bremen) right footed shot from outside the box misses to the left. Assisted by Niklas Moisander. Attempt blocked. Nicolai Müller (Hannover 96) left footed shot from the centre of the box is blocked. Assisted by Hendrik Weydandt with a headed pass. Second Half begins Hannover 96 0, SV Werder Bremen 1. First Half ends, Hannover 96 0, SV Werder Bremen 1. Attempt blocked. Hendrik Weydandt (Hannover 96) header from the centre of the box is blocked. Assisted by Pirmin Schwegler. Hand ball by Nuri Sahin (SV Werder Bremen). Attempt missed. Maximilian Eggestein (SV Werder Bremen) right footed shot from the right side of the box is close, but misses to the left. Assisted by Theodor Gebre Selassie with a cross. Oliver Sorg (Hannover 96) wins a free kick on the right wing. Attempt saved. Max Kruse (SV Werder Bremen) left footed shot from outside the box is saved in the centre of the goal. Assisted by Davy Klaassen. Attempt saved. Martin Harnik (SV Werder Bremen) right footed shot from the right side of the box is saved in the bottom left corner. Assisted by Maximilian Eggestein. Attempt missed. Hendrik Weydandt (Hannover 96) right footed shot from outside the box is too high. Assisted by Nicolai Müller. Pirmin Schwegler (Hannover 96) wins a free kick in the defensive half. Corner, Hannover 96. Conceded by Ludwig Augustinsson. Corner, SV Werder Bremen. Conceded by Kevin Akpoguma. Attempt blocked. Max Kruse (SV Werder Bremen) left footed shot from outside the box is blocked. Assisted by Milot Rashica. Attempt blocked. Milot Rashica (SV Werder Bremen) right footed shot from the centre of the box is blocked. Assisted by Max Kruse with a headed pass. Goal! 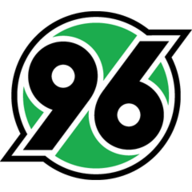 Hannover 96 0, SV Werder Bremen 1. Milot Rashica (SV Werder Bremen) left footed shot from very close range to the bottom right corner. Attempt saved. Martin Harnik (SV Werder Bremen) right footed shot from the centre of the box is saved in the bottom left corner. Assisted by Maximilian Eggestein. Martin Harnik (SV Werder Bremen) wins a free kick in the defensive half. Attempt saved. Milot Rashica (SV Werder Bremen) right footed shot from outside the box is saved in the bottom left corner. Assisted by Max Kruse. Attempt saved. Max Kruse (SV Werder Bremen) right footed shot from outside the box is saved in the bottom left corner. Assisted by Maximilian Eggestein. Attempt missed. 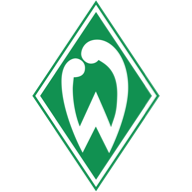 Nuri Sahin (SV Werder Bremen) left footed shot from outside the box misses to the right following a corner. Attempt saved. Max Kruse (SV Werder Bremen) left footed shot from the left side of the box is saved in the bottom right corner. Corner, SV Werder Bremen. Conceded by Kevin Wimmer. Maximilian Eggestein (SV Werder Bremen) wins a free kick in the attacking half. Oliver Sorg (Hannover 96) wins a free kick in the defensive half. Offside, Hannover 96. Pirmin Schwegler tries a through ball, but Hendrik Weydandt is caught offside. Offside, SV Werder Bremen. Martin Harnik tries a through ball, but Theodor Gebre Selassie is caught offside. Miiko Albornoz (Hannover 96) wins a free kick in the defensive half. Attempt saved. Martin Harnik (SV Werder Bremen) right footed shot from the centre of the box is saved in the top centre of the goal. Assisted by Maximilian Eggestein. Attempt missed. Waldemar Anton (Hannover 96) header from the centre of the box is too high. Assisted by Pirmin Schwegler following a set piece situation. Oliver Sorg (Hannover 96) wins a free kick in the attacking half. Attempt blocked. Hendrik Weydandt (Hannover 96) left footed shot from a difficult angle on the left is blocked. Assisted by Kevin Wimmer. Hendrik Weydandt (Hannover 96) wins a free kick in the defensive half.